There was a huge wine press, like those used in the days of the Old Testament. Grapes were being trampled upon and crushed. I watched as the contents of the grapes spewed forth and began flowing like a river down a long trough. Lord, what are You preparing us to do that we must be so deeply wounded? Why must we be crushed? God then began to emphasis to me how much instruction has been given the followers of Jesus. In the New Testament alone, in passages too numerous to list (see below for a few), we are told, to be a follower of Jesus Christ, we must first die to self! Jesus said, “Whoever wants to save his life shall lose it…” (John 12:24). Jesus also said that before a harvest can be produced, a seed must first die and fall to the ground. Can we, as Paul, say we are ready, and actually rejoice, to be poured out as a drink offering? Most of us can quote scripture after scripture about dying to self. And most would join in saying a big “Amen” to the need of being emptied before we are able to be filled with Him… But the truth is, we have not been living this out in our lives. THE DEVIL WILL DO ALL HE CAN TO STOP YOU FROM DYING TO SELF! Praise God, we have the example of our Lord and Savior! Jesus asked His Father, if He was willing, to remove the cup from him. But He immediately followed with, “Nevertheless, not My will but Yours be done.” As His flesh cried out to live, He turned it over to be crucified! I saw myself laying at the bottom of the pit mentioned in the previous post. It was so dark I could barely see, but I appeared to be dead. Suddenly, a bright light appeared. Saints, Jesus will not be unequally yoked! His Bride must become like Him to be united with Him. We must be crushed! Just as the contents of the grape pours forth, so must we be emptied of self. Only then may we be filled with Him and used as instruments of His Righteousness! God is preparing us for burial – the burial of self, the burial of our will. I was shown it will be as death! Although it’s happening on an individual basis now, it will be on a grand “corporate” basis at some point in the future. The fact the Bride is “resurrected” and comes out of a dark pit parallels her Bridegroom being in the grave three days and three nights. 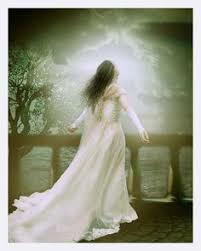 This confirmed to me the three days of darkness prior to the Bride rising to walk in the Fullness of His Glory. Brethren, God wants our hearts to be encouraged as darkness encroaches. He wants us to remember that, for the joy sat before Him, Jesus endured the cross – and so will His Bride! Please take all that has been presented here before the Lord for further interpretation and how this may apply to you personally. This entry was posted on Friday, September 21st, 2018 at 10:18 am	and is filed under Dreams / Visions / Words. You can follow any responses to this entry through the RSS 2.0 feed. You can leave a response, or trackback from your own site.